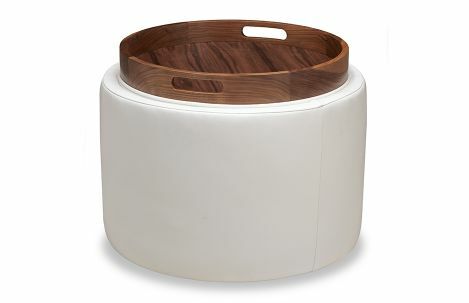 A new American Walnut + Ash Collection take on our ever-popular Uno storage ottoman series, Otis is available in round or cube, but either way, the upholstered top flips to reveal an exquisite walnut or ash finish tray. The storage space underneath is the perfect catch-all for small items you want out of the way, and the casters make it easy to roll Otis where you need him most. Stylish and useful, Otis will be an indispensible addition to your home.